Let us help you take your business to the next level of financial success. From pure record-keeping services to a full-service investment provider, Royal Alliance has a leadership presence and the ability to offer retirement solutions for all sizes and segments of the defined contribution market – corporate, education, government, healthcare and not-for-profit entities. 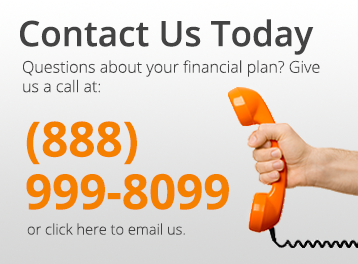 We listen to your goals to make sure we understand your investment needs. Then we do our research. Our proprietary analytics help us find unrecognized value ahead of consensus. Next, we apply our research to build portfolios designed to deliver consistent, risk-efficient results over reasonably long periods, helping to give our clients confidence that they can achieve their objectives. Employers face multiple benefits challenges. On one hand, you want to attract and retain employees by offering a full range of benefits. On the other hand, you need to control costs and keep administration easy. Our employee benefits can help. We have decades of experience delivering group, supplemental and voluntary benefits. And we can offer a broad portfolio of insurance products that allows us to craft unique solutions for a wide variety of employers and their employees. The solutions we provide are designed for plan sponsors looking to preserve capital, while seeking more attractive rates of return than typically available through money market funds and lower volatility than an actively managed bond fund. Guarantees are based on the claims-paying ability of the insurance carrier that best suits your needs. We offer products to qualified defined contribution plans including 401(k), 401(a), 457, and 403(b) plans serving the Corporate, Government, Healthcare, and Education markets.